So? 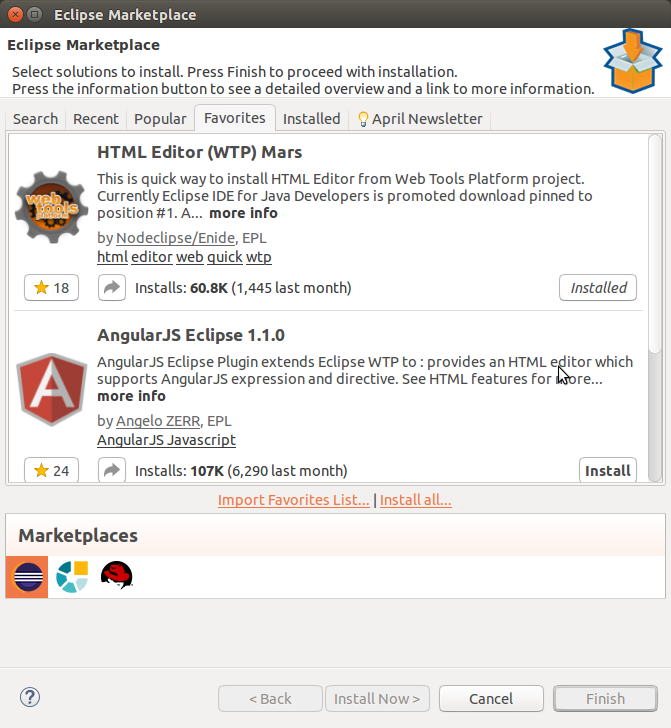 What are your favourite plugins and packages on Eclipse Marketplace? Build your list, and share it with your team. 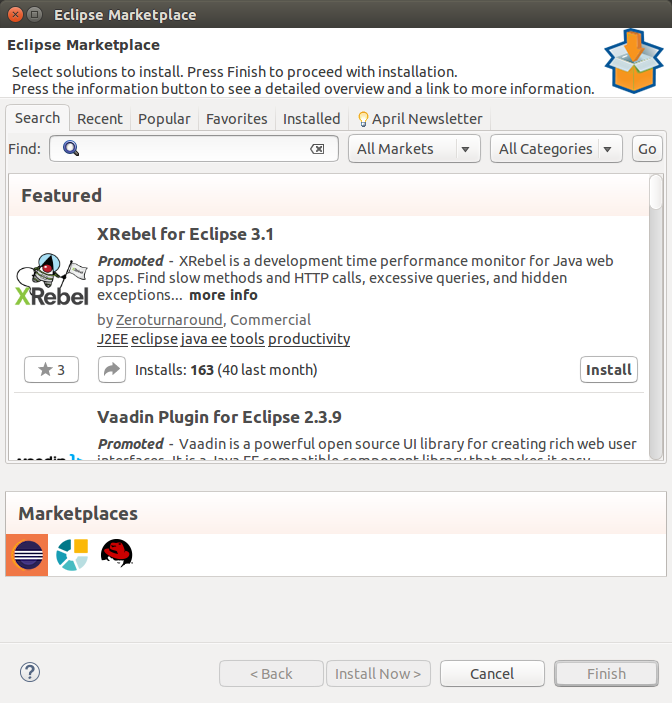 We encourage you to share your lists with us on Twitter using #EclipseMarketplace. But in both case, you will have to go in the installation folder to run Eclipse. 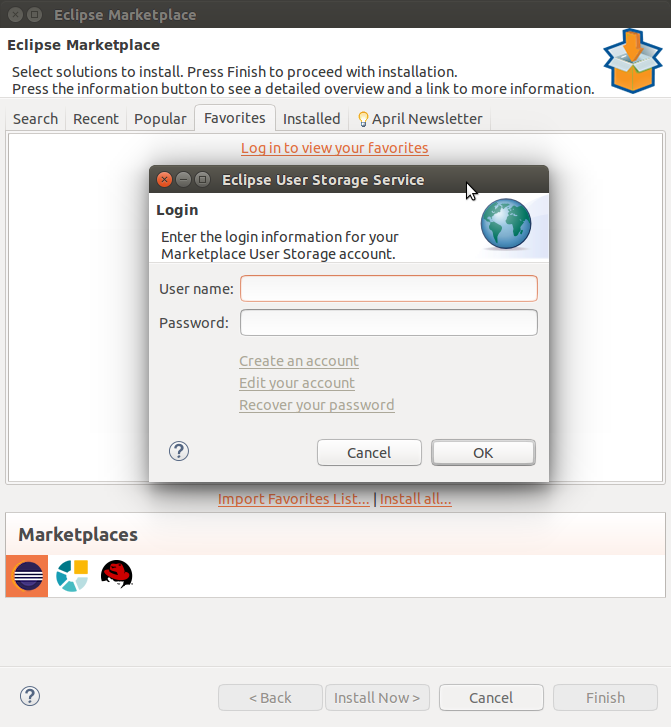 Even the installer does not create a .desktop file, so you won’t find Eclipse in your distribution menu. 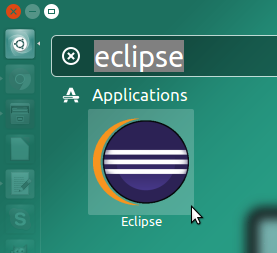 And depending on your distro, it might not be possible to lock Eclipse icon to the launcher. As a regular Ubuntu user, with the Unity desktop, I like to have my favorite applications in the launcher. Then, change the properties of the files so it can be executed. Just double click on it, and Eclipse should start. You will be able to lock the icon to the Launcher. Of course, please change the path to your Eclipse installation. And if you have many installations, you can change the name field to make it more clear in the menu. You can also change the filename. 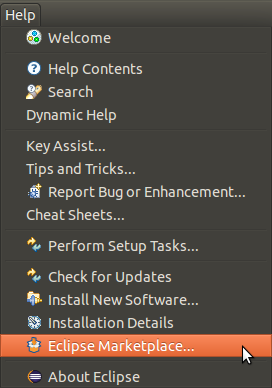 If you still can’t find Eclipse in the menu, just log out from your session or restart your computer. That should be good. This video has been recorded at Paris Open Source Summit 2015. This is an introduction to GroupMind, a Drupal distribution we created at Bonitasoft for our Community website. The Youtube video starts directly on my talk, but the entire record includes other speakers. I also use the example of Bonitasoft as a Solution Member, and Obeo as a Strategic Member. This video continues to my second presentation, “How to build an active community around your project”. I also posted an other article about it.